Our Folk Tales, as told by year 5. The year 5 pupils at Catton Grove Primary School have been busy researching Folk Tales from our country. Many we thought were British actually came from other countries in Europe! We hope you enjoy our versions of them. One day there was a beautiful lady who really wanted a little girl. She found a helpful witch living in a house in a dark and gloomy swamp and asked her for a potion, that will let her have a baby girl. The witch gave her a grain of barley. When she got home she cooked the barley for tea and ate it. She suddenly felt a thing pulling on her dress, it was a thumb sized girl! The lady put her in a little doll cot and a doll blanket and the girl fell asleep . The lady called her Thumbelina because of her size. When night fell, a fat frog jumped up to her window and grabbed Thumbelina while she was asleep. The frog put her on a lily pad in the water. When she woke up she fell into water. Not knowing what she was doing, she swam to the shore. she climbed out of the pond onto the shore and ran to her home. She then got carried by a beetle to its tree and the beetle put her to sleep in a leaf. When she woke up she felt angry but she also wanted to cry. She wanted to go and give the beetle a piece of her mind and so she did. Thumbelina was going to shout at the beetle but the beetle was twitching its pincers and let her go . Thumbelina climbed down the tree and ran home safely. She ran into bed and woke up in the morning feeling very, very tired. And instead of playing in the morning she slept until noon. She then woke up, played, had tea and crashed back into bed. There once was a price named Llewellyn who had his trusty dog Gelert. They were very brave, they hunted together and they lived in a deep, deep castle in wales . He had a baby whose mum sadly died at birth he loved his son as much as his dead wife . One day he went hunting and left his trusty dog Gelert in charge of protecting the baby so he could go hunting. He was tired but triumphant when he got back. He was going to relax with his baby but his house was wrecked! Gelert had blood all over him so he immediately thought his dog had killed his baby! So he killed his dog but then released his dog had done his job and tried to protect the baby. The Prince buried Gelert and had a grave put outside the castle walls in memory of his brave dog. 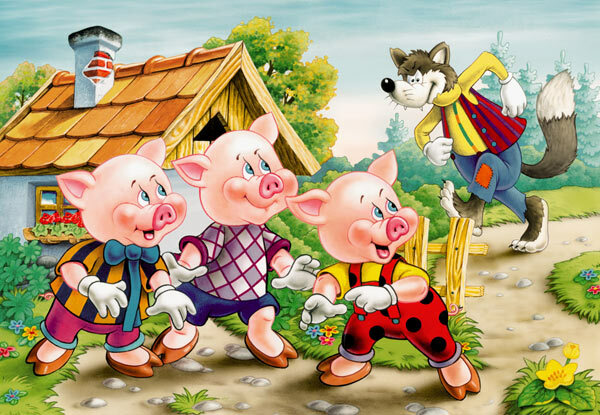 But the little pig said, “No, no, not by the hair on my chinny chin chin!” So he huffed and he puffed and he blew the house down so the pig ran away as fast as he could. The other little cute pig went to get some clean sticks to build his great house so when he found his sticks he started to build his house. After, there came the angry wolf again. “Let me in! Let me in!” the wolf cried. But no one answered so the wolf huffed and puffed and blew his house down so quickly. The pig ran but the wolf did not catch up. “No no no,” said the little pig. So the wolf huffed and he puffed and he did not blow his house down. So he went on the roof and down the chimney. “Ouch that hurt!” said the wolf. He burnt himself and no one ever saw him again. The pigs lived happily ever after. Once upon a time, there was a good old woman who lived in a tiny house. She had in her garden a bed of beautiful striped tulips. One night she was awakened by the sounds of sweet singing and babies laughing. She looked out at the window. The sounds seemed to come from the tulip bed, but she could see nothing. The next morning she walked among her flowers, but there were no signs of any one having been there the night before. Now in those days there were little folk or fairies, as the people called them living in that part of the country, and one of their favourite places was a field just beyond the old woman’s garden. They liked this field because it was never visited by strangers, here they could play undisturbed, dancing in the moonlight. But one thing they found troublesome; On warm nights, when the moon was bright, they could not get their children to sleep. The small fairies would fidget and cry in their cots until their mothers grew almost frantic, fearing they would never be able to go and dance but they would have to sit up all night and sing them to sleep. Then one fairy mother hit upon a new and clever plan. One evening she carried her small baby across the field and into the cottage garden. Although the old woman was out in the garden bringing the last of her clothes from the line, she did not see the fairy and her baby, for, of course, they were invisible to human eyes. The fairy flew with the baby over the tulip bed, and gently put it inside a yellow tulip. She hovered overhead, sang a little sleepy song, and as the tulip rocked in the evening breeze, the baby very soon fell fast asleep. The fairy mother flew home, changed quickly into her ball dress Thistledown and Gossamer, and was the first to appear at the ball. Some unfortunate ones were not able to come till it was nearly over, because the night was very warm and their children more than usually tiresome. Next night all the mothers of babies took their children to the tulip bed and did as the first fairy had done. They chose tulips of their favourite colour and lay their children inside them. Soon soft lullabies sounded from all over the bed, and before long all the dozens of fairy babies were fast asleep swaying in their flowers. 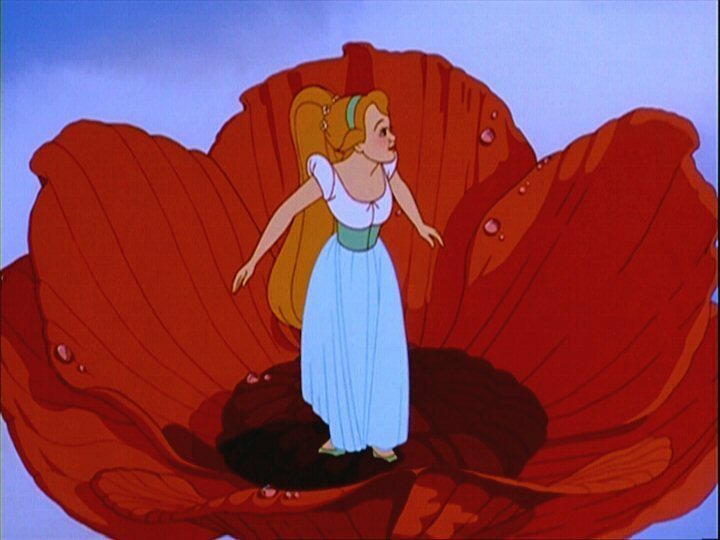 From this time on, the tulips grew even larger and straighter; their colours were richer and more delicate; what is more, the fairies even gave them a sweet smell, which is a thing no ordinary tulip has.